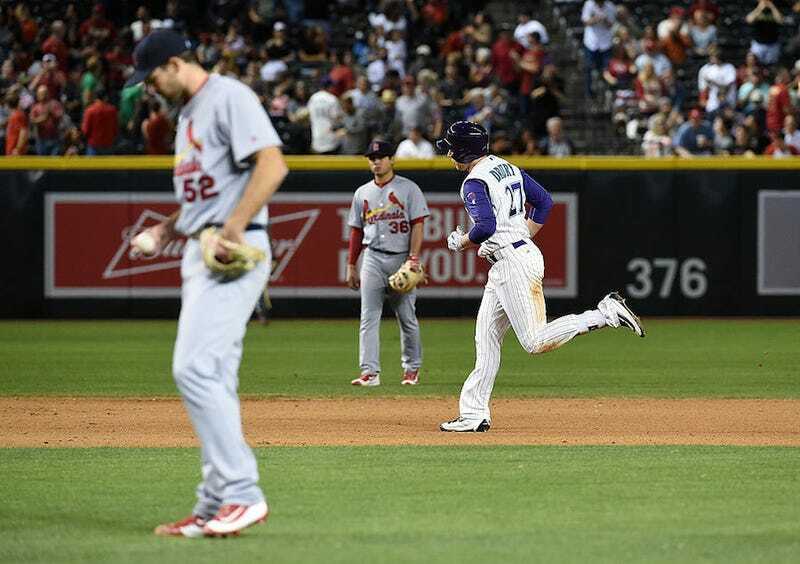 With a dominant start from right-hander Rubby De La Rosa, the Arizona Diamondbacks shut out the St. Louis Cardinals in a 3-0 victory Thursday. Michael Wacha started for the Cardinals and gave up two home runs to Brandon Drury and Chris Herrmann. That was enough of a lead for De La Rosa, who pitched seven innings and struck out 10 while allowing just two hits and two walks. Brad Ziegler closed out the game in the ninth for his fifth save of the season. Through 22 games last season, the Cardinals were 16-6. This year, they’re 12-10.